OSAKA - How did earthquake-prone Japan, where two atomic bombs were dropped at the end of World War II creating a strong antinuclear weapons culture, come to embrace nuclear power just a few decades later? Therein lies a tale whose main characters include two former prime ministers, a suspected war criminal, CIA agent and postwar media baron, and “Japan’s Charles Lindbergh,” a flamboyant pilot who encouraged people to search for uranium in their backyards. At the same time it’s the story of those who opposed nuclear power from the beginning, warning of the potential dangers and arguing for decades that nuclear power wasn’t as safe as advertised, and reactors could be seriously damaged by an earthquake. The saga begins in summer 1953. Future Prime Minister Yasuhiro Nakasone was then a young politician studying at Harvard University. He learned from politically connected professors that the United States was about to allow the knowledge and technology that built atomic bombs to be exported for the peaceful use of nuclear power. In December 1953, President Dwight D. Eisenhower announced his “Atoms for Peace” initiative that provided U.S. nuclear technology to allies like resource-poor Japan that wanted to harness the atom. 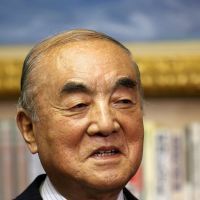 Nakasone reacted immediately, leading efforts in the Diet in late 1953 and early 1954 to draw up Japan’s first-ever budget for nuclear power research. He assembled a group of like-minded allies in and out of government to help convince the public of the necessity to invest in this new technology. One of the most influential was Matsutaro Shoriki, head of the Yomiuri Shimbun and head of the newly created Nippon TV. Shoriki was jailed after World War II as a suspected Class-A war criminal and sent to Sugamo Prison in Tokyo. But he was released a couple of years later without being charged and allegedly became a CIA informant. 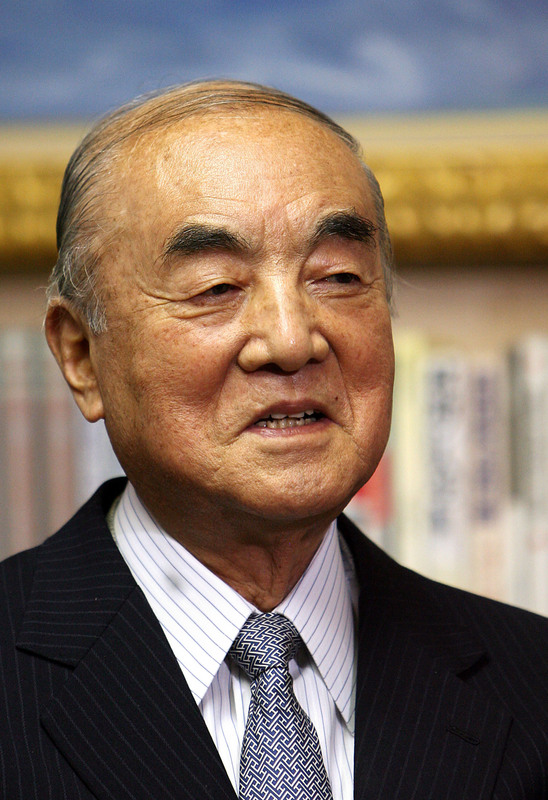 Shoriki was, like his friend Nakasone, a strong supporter of nuclear power. Under his guidance, the Yomiuri led the way in selling nuclear power to the public as a safe, reliable and peaceful energy source. On New Year’s Day, 1954, the paper began a series of articles titled “Finally, the Sun Has Been Captured,” which extolled the benefits of nuclear power. Despite the Fukuryu Maru No. 5 incident of March 1, 1954, in which 23 Japanese fishermen were exposed to nuclear fallout from U.S. testing of a hydrogen bomb at Bikini Atoll, stoking public concern about anything nuclear, the Diet passed Japan’s first nuclear power research budget, worth ¥235 million, that same month. The Yomiuri series and a 1955 exhibition in Tokyo on the wonders of nuclear power, which Shoriki was also involved with, played key roles in launching a brief uranium craze in the mid-1950s. But as journalist Toru Takeda notes in his book “This is How We Became a Nuclear Power Superpower,” it was the activities of Zensaku Azuma, a flamboyant and popular aviator who in 1930 flew solo across the U.S., Europe and Asia, that grabbed media headlines. In 1955, Azuma discovered natural uranium deposits in the soil on the border of Tottori and Okayama prefectures, and his discovery led others to buy Geiger counters and try their luck. Azuma encouraged people to make uranium part of their lifestyles, saying it was healthy. He grew “uranium” vegetables in soil with traces of uranium and soon other “uranium entrepreneurs” followed. A woman by the name of Yoshiko Hibi sold sake from Gifu containing traces of uranium, and hot springs with uranium in their waters advertised this fact, according to Takeda’s book. 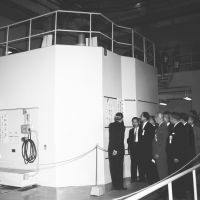 “In the 1950s, criticism of nuclear power research was limited to one section of the academic community. However, the uranium boom wasn’t really that big. From the late 1960s, public criticism mounted, although it was also the time when large-scale reactors began being built. Concerns about the environment and pollution were also spreading, and nuclear power was a symbol of these concerns,” said Hitoshi Yoshioka, a professor at the Kyushu University Graduate School of Social and Cultural Studies and an expert on the history of nuclear power in Japan. 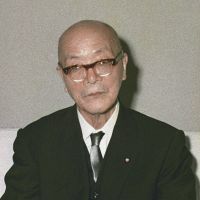 Shoriki was elected to the Diet in 1955 and was rewarded for his efforts at promoting nuclear power in early 1956, becoming the first head of the newly created Japan Atomic Energy Commission. Yet despite growing public support, the government was worried about how much it might have to pay out in insurance claims if there was a nuclear accident. 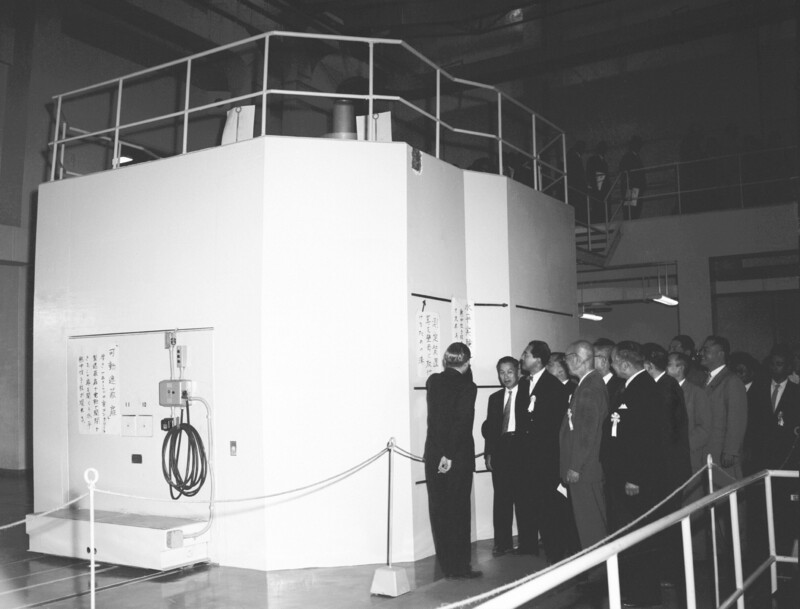 In 1960, the Japan Atomic Industrial Forum, consisting mostly of companies in the nuclear power business, was ordered by the Science and Technology Agency to prepare a cost estimate. They concluded that in the worst-case scenario, the government could face ¥3.7 trillion in liability claims. At the time, the national budget was about ¥1.7 trillion. Nine years later, in March 1970, the Osaka Expo opened. Some of the electricity it used came from the Tsuruga No. 1 nuclear power plant in Fukui Prefecture, which began operating that same month. A few more reactors, including the ones at the Fukushima No. 1 plant, opened over the next couple of years. But the real rush to build plants came after 1974. The nation’s first-ever class-action lawsuit to stop a nuclear plant from being built — the one in Ikata, Ehime Prefecture — had been filed in 1973 (the plaintiffs would eventually lose) and the government was concerned. 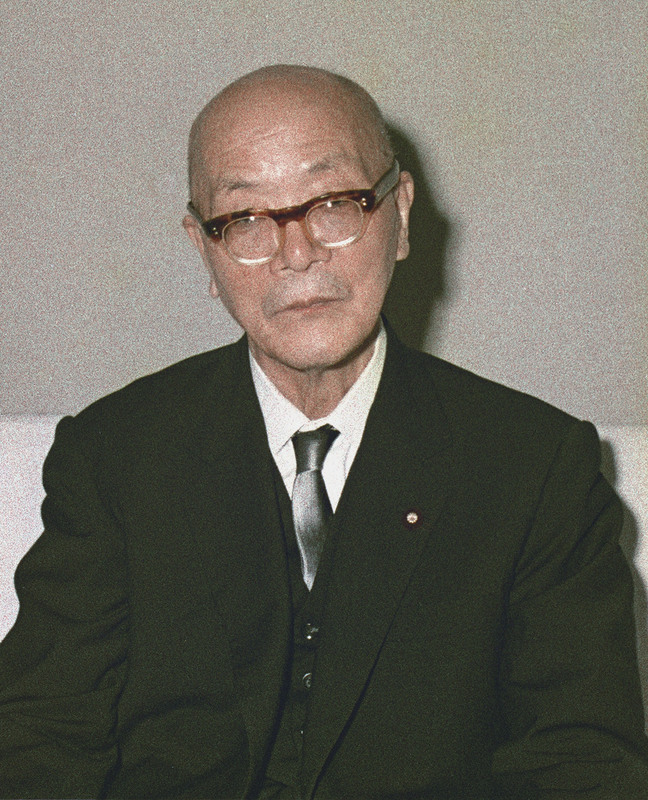 Worried that more lawsuits from the growing antinuclear movement could follow, Prime Minister Kakuei Tanaka established three new laws to provide funds for local roads, bridges, community centers and public works projects in exchange for local government permission to build nuclear reactors. Over the next two decades, three prefectures, Fukui, Fukushima and Tanaka’s home prefecture of Niigata, pursued nuclear plants. Today, these three prefectures are home to 30 of Japan’s 54 commercial reactors. For cash-strapped local governments, agreeing to host a nuclear power plant can mean up to ¥45 billion in subsidies during the time between a construction site is approved and the time the reactor goes into operation. And this doesn’t include billions of yen in additional funding from the plant’s operator, or other forms of subsidies the prefecture may offer. Between 1974 and 1987, more than 30 power plants were built in a dozen prefectures by local governments eager for the money that came with them. The Three Mile Island accident in 1979 and the Chernobyl disaster in 1986 sparked fears of radioactive clouds reaching Japan and of radioactive food imports. It also caused Japanese to consider the possibility of a similar accident at home. The Citizens Nuclear Information Center was founded in 1975 by nuclear chemistry professor Jinzaburo Takagi and others as an antinuclear organization to educate the public on all aspects of atomic power. After Chernobyl, the group stepped up activities to stop not only conventional uranium plants in operation but also plans for building a spent fuel reprocessing plant that creates mixed uranium-plutonium (MOX) fuel. In 1985, Aomori Prefecture said it would approve the building of a reprocessing plant, a uranium enrichment plant, and low and high-level nuclear waste storage centers. While the enrichment plant and two storage centers are now in operation, technical problems and local concerns have plagued the reprocessing plant. Originally supposed to have begun commercial operations in December 1997, the starting date has been delayed 18 times, according to CNIC, and the plant is currently in the final testing stage. When it goes into operation, it will have a maximum reprocessing capacity of 800 tons of spent fuel and produce 8 tons of plutonium annually. For this reason, the Rokkasho plant has long been the subject of international scrutiny due to fears the enriched fuel could be diverted for nuclear weapons. A declassified U.S. State Department cable of a Feb. 1, 1977, meeting between Vice President Walter Mondale and Prime Minister Takeo Fukuda shows the U.S. expressed official concern over Japan’s pursuit of a reprocessing plant. “Reprocessing facilities which could produce weapons grade material are simply bomb factories. We want to cooperate (with Japan) to keep the problem under control,” the cable read. The mid-1980s also saw Japan pursue the Monju fast-breeder reactor in Fukui Prefecture, designed to burn MOX fuel. Once again, U.S. concerns about proliferation of nuclear materials led to negotiations that resulted in a 1988 bilateral agreement requiring both countries to formally notify each other when nuclear materials are directly transferred, or sent through a third country. The 1990s saw numerous incidents, notably the bursting of a sodium cooling pipe at Monju that caused a fire. The operator tried to cover up the incident, and the plant was shut down for 15 years. In May 2010, the facility was briefly reactivated. In autumn 1999 it was learned that data related to a shipment of MOX fuel from the United Kingdom for one of Kansai Electric Power’s plants had been falsified. The fuel was sent back to Britain. Days later, on Sept. 30, 1999, three workers were exposed to high doses of radiation at a nuclear fuel reprocessing plant in Tokai, Ibaraki Prefecture, when they accidently achieved criticality by mixing together too much highly enriched uranium. Two workers died and 119 people were exposed to more than 1 millisievert of radiation. The workers had bypassed safe operating procedures. The Monju and Tokai incidents exposed lax safety measures among nuclear power operators that would lead to more scandals and deaths. In 2002, Tokyo Electric Power Co. was caught falsifying inspection reports and covering up safety-related incidents. Eventually it was revealed Tecpo submitted more than 200 false reports between 1977 and 2002. Negligent practices caught up with Kepco in August 2004 when a steam pipe at the Mihama No. 3 reactor ruptured, scalding four workers to death. The pipe had been heavily corroded and had never been inspected in its 28 years of operation. Changes in safety measures followed each incident. But to warnings about earthquakes, Japan’s nuclear power village continued to insist the plants were safe. Yet when the Kashiwazaki-Kariwa nuclear plant in Niigata Prefecture was hit by a 6.8-magnitude quake in July 2007, Tepco, the central government and the International Atomic Energy Agency were forced to admit the quake’s strength exceeded the standard used for the design. But by 2007, Japan had 54 of the world’s 442 nuclear reactors and plans to build even more. In one of the world’s most quake-prone countries, they provided 30 percent on average of the nation’s annual electricity output. A dream that had begun a half century before was now a reality, and the few voices arguing that another large quake could turn the dream into a nightmare were downplayed or ignored, with what would prove to be tragic results.